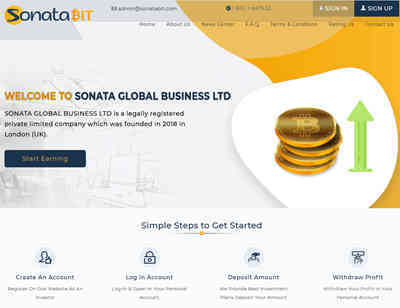 Sonata Bit LTD - sonatabit.com | Vibiz.net - Diễn đàn thương mại điện tử, làm việc trực tuyến và thanh toán điện tử. Discussion in 'HYIP' started by AllHYIPs, Oct 24, 2018. 02.11.18 04 9;Account;Receive;Received Payment 6.00 USD from account U17356511 to account U1294000. Batch: 234512103. Memo: API Payment. Withdraw to allhyips from sonatabit.com. 06.11.18 07 7;Account;Receive;Received Payment 6.00 USD from account U17356511 to account U1294000. Batch: 234961915. Memo: API Payment. Withdraw to allhyips from sonatabit.com. 10.11.18 20:44;Account;Receive;Received Payment 6.00 USD from account U17356511 to account U1294000. Batch: 235526016. Memo: API Payment. Withdraw to allhyips from sonatabit.com. 10.11.18 06:55;Account;Receive;Received Payment 6.00 USD from account U17356511 to account U1294000. Batch: 235450549. Memo: API Payment. Withdraw to allhyips from sonatabit.com. 12.11.18 04:13;Account;Receive;Received Payment 6.00 USD from account U17356511 to account U1294000. Batch: 235645391. Memo: API Payment. Withdraw to allhyips from sonatabit.com. 11.11.18 18:08;Account;Receive;Received Payment 0.65 USD from account U17356511 to account U1294000. Batch: 235612160. Memo: API Payment. Withdraw to allhyips from sonatabit.com.